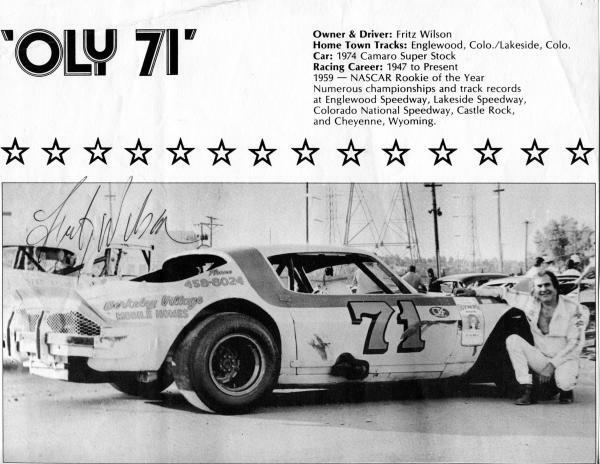 Fritz Wilson, Englewood, Colo. / Lakeside, Colo. 1974 Camaro Super Stock. Racing 1959 Rookie of the Year. Numerous championships and track records at Englewood Speedway, Colorado National Speedway, Castle Rock, and Cheyenne, Wyoming.